Yes, I realize this is the 3rd post in a row specifically about food. I can't help it! There is so much free tasty food floating around this week it's hard to not have chocolate-dipped strawberries and petits fours on the brain! 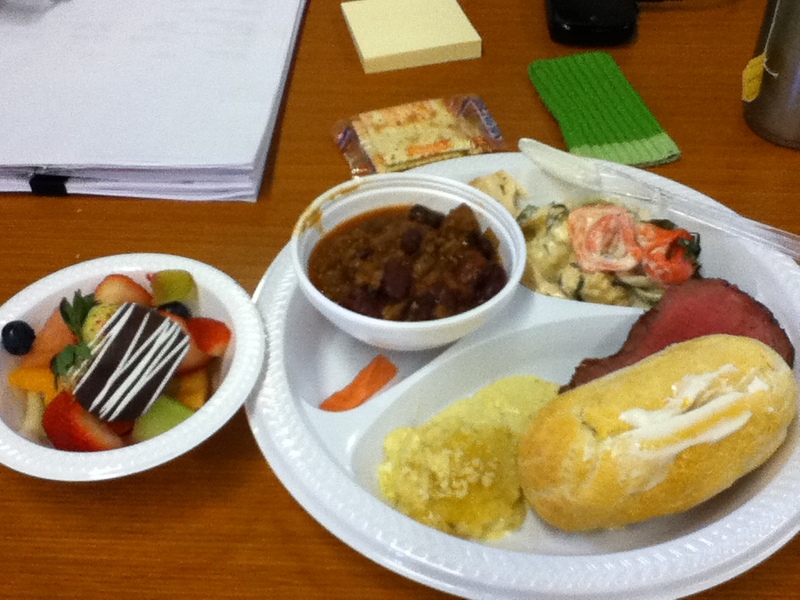 Today was our holiday lunch at work, catered from Leo's in downtown Grand Rapids. As you can see, there was a full spread of delicious options! In the evening I also managed to scarf down the rest of the box of petits fours. 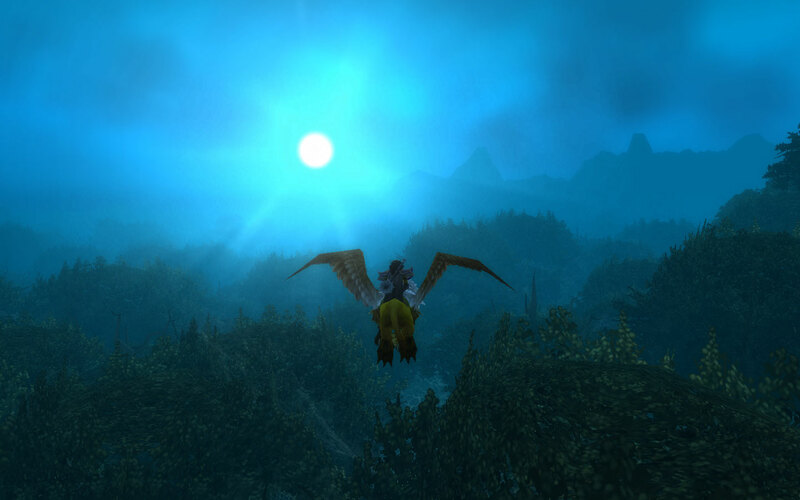 In the evening I played a little bit more World of Warcraft character recently created on a new server. I really am enjoying the changes and there aren't nearly as many painful leveling experiences as the last time I played on the Alliance. All the games I play have recently launched x-mas-themed events so over the next few weeks I'll be working my way through Lord of the Rings Online, Guild Wars, and World of Warcraft. How can you pass up a virtual snowball fight? All the fun of a real snowballs without any of the cold!